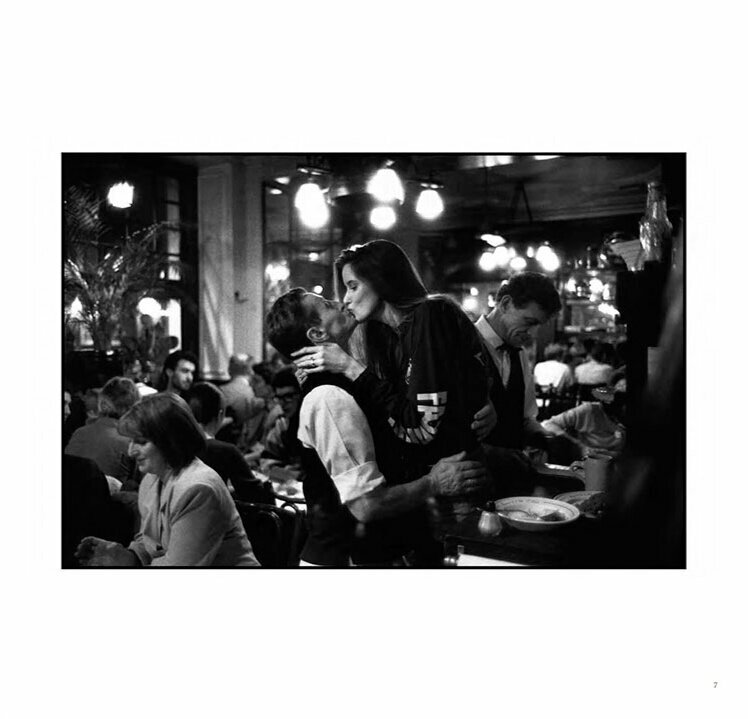 "French Kiss - A Love Letter to Paris, is a tribute to many of the wonderful moments of romance, beauty, hope, and love that I have witnessed and been inspired by in Paris, my adopted home, over the past 40 years. I believe that photography is ultimately about sharing. I am excited to share, with the world, these moments of the heart that have touched my own, in this most beautiful city, Paris." PayPal and credit cards accepted. Select "Don't Have a Paypal Account" to pay by credit card. Each limited, first edition book will be signed by Peter, and include a deluxe slipcase. Since 1975, Turnley has continually photographed the life of Paris, his adopted home. Turnley was born in America, but has lived more than half his life in Paris. His tender and sensual view "The City of Light" offers distinct contrast to the stark realities depicted in his photojournalism. * Two book special available for U.S. orders only.